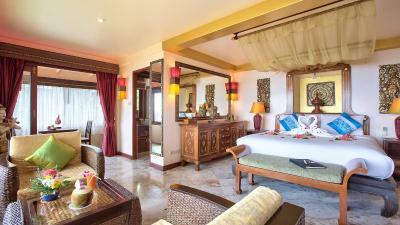 Lock in a great price for Sandalwood Luxury Villa Resort – rated 9.3 by recent guests! 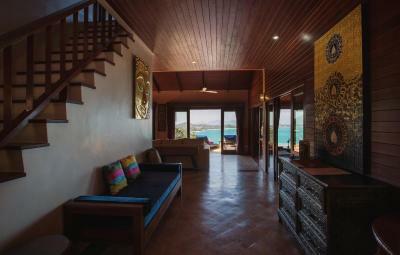 We stayed for 5 days at the Sandalwood in precisely their newly built Rose Villa. The rooms, amenities and overall infrastructure were modern and comfortable. we had free bottles of water on a daily basis and our rooms were always cleaned and neat. Even the pool was cleaned on a daily basis which we definitely appreciated. 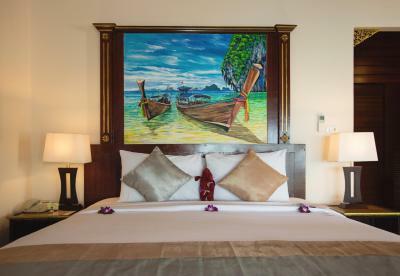 Each room had fantastic views on the landscape and the bay. The setting was picture perfect. 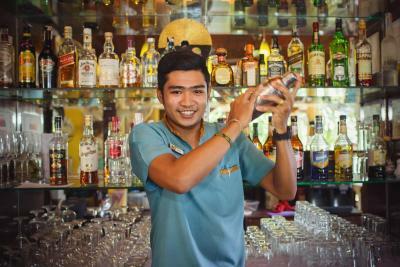 The staff were ever so kind and helpful. The owners even took time to personally care to our well being. If you are looking for a zen get away - highly recommended. 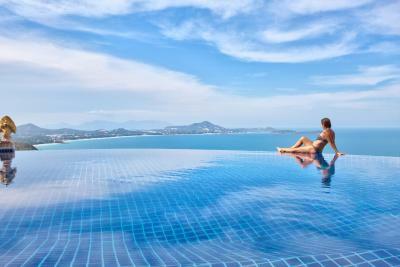 The view, the infinity swimming pool, the staff, everything was perfect. Best hotel in my life!!! 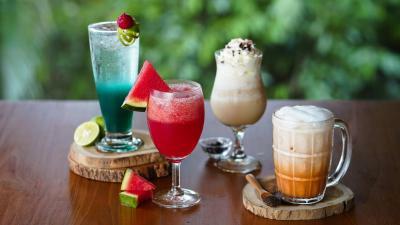 Congratulations to the owner and his staff!! They (the staff) exceeded my expectations. 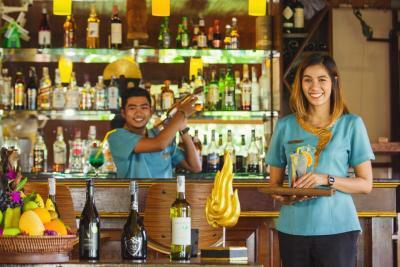 They clearly articulated the amenities of the resort and were very professional when decribing other features the resort offered. They offer guests their very own cell phone while staying at property to ensure you have appropriate numbers for transportation to and from resort (since it is on a hill) and also emergency contacts. 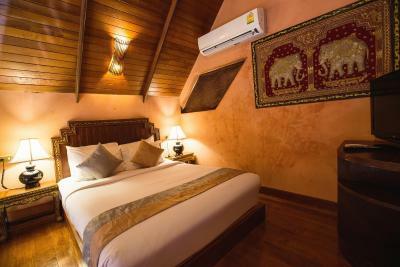 The rooms were kept immaculate during my 3 night stay and the staff was very attentive. I’ll be staying here in the future for sure. The bed was extraordinarily comfortable. The best night's sleep I had all trip. The poached eggs at breakfast were perfection and the service sublime. The view was spectacular and the staff were very friendly. We had our own private terrace, pool and jacuzzi with windows all around the room. 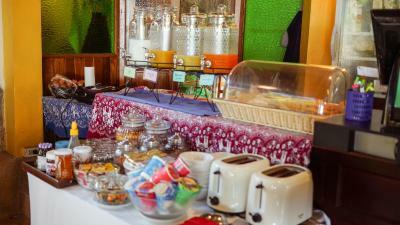 Breakfast was wonderful and staff were very helpful. The transportation service was perfect, cheaper than a taxi and there was also a free shuttle service that was super convenient. Well worth it! All the staff are very friendly and accomodating, everyone was willing to help with everything including the down-to-earth owner, Robert (thank you so much for everything). 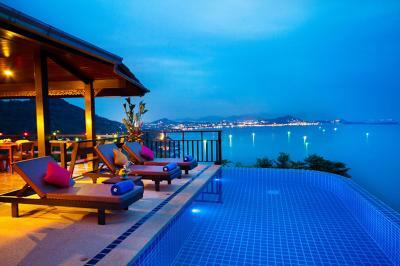 The villa was amazing with breathtaking views. 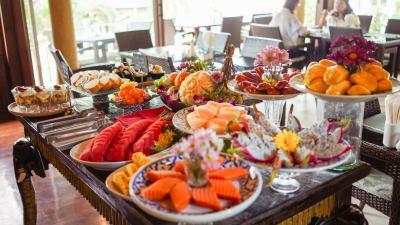 The food was authentic and delicious.The staff were attentive and welcoming. We stayed with our 4 who didn’t want to leave.We look forward to coming back here . Amazing couple of days spent in Sandalwood Villas. 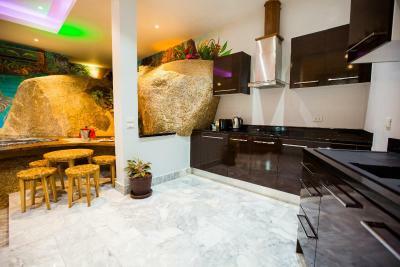 Huuuuuge villa/room, super clean, amazing view and nice food. Overall, very cool place and extraordinarily kind team! Would definitely recommend. 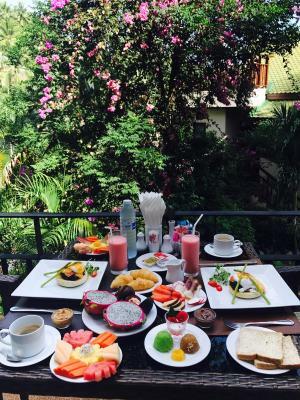 Sandalwood Luxury Villa Resort This rating is a reflection of how the property compares to the industry standard when it comes to price, facilities and services available. It's based on a self-evaluation by the property. Use this rating to help choose your stay! 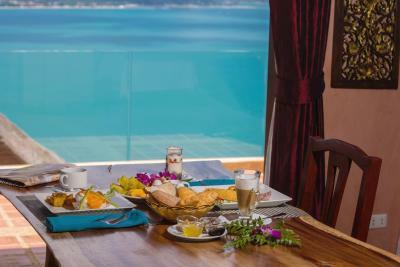 One of our top picks in Lamai.Overlooking the scenic Gulf of Siam, Sandalwood Resort’s luxurious villas occupy a prime hillside location. 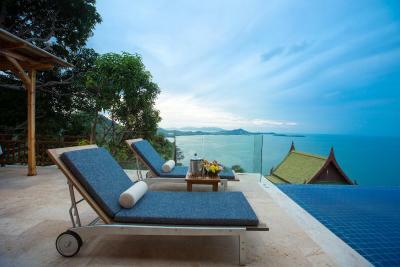 Featuring nine private infinity pools and one communal pool with stunning sea views, it has a spa and free WiFi. 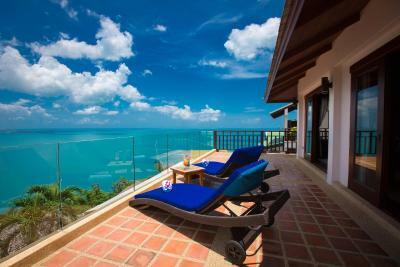 Guests enjoy free round-trip shuttle services between Samui Airport and the resort. 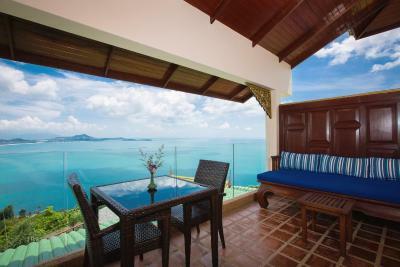 Boasting private balconies with sweeping views of the coast, Sandalwood villas feature a blend of traditional Thai decor and modern amenities. 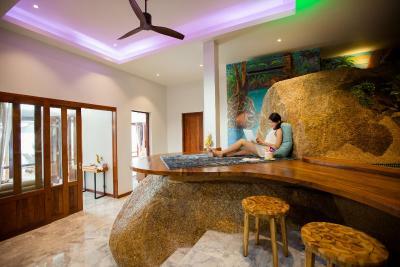 They come with a spa bath, flat-screen TV and well-equipped kitchenette. 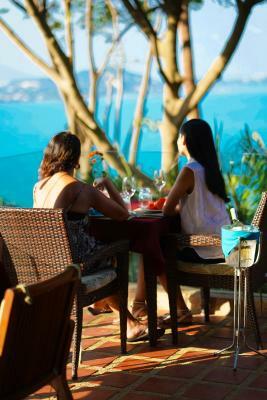 Leisurely afternoons can be spent on the loungers at the sundeck. 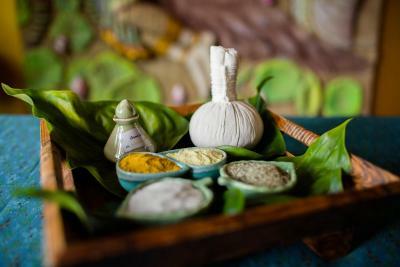 For a pampering experience, Sanctuary Spa offers soothing treatments. 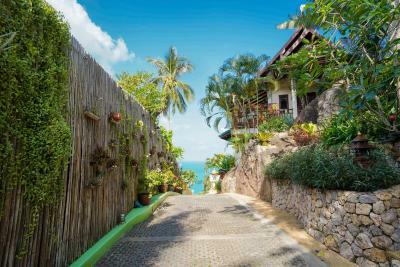 Exploring Koh Samui and neighboring islands is easy with the help of a tour desk. 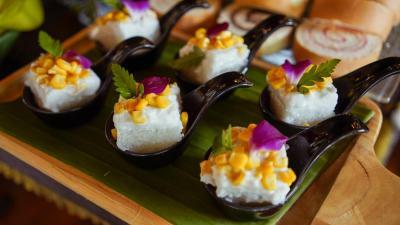 After a long day out, head back to the Sandalwood Resort for a delicious meal at Blue Ginger Restaurant. 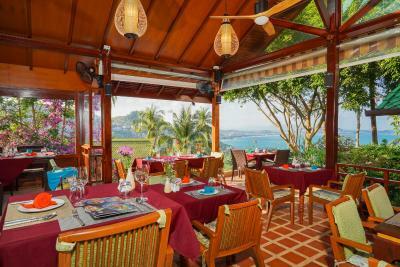 Enjoy authentic Thai dishes as you take in views of Chaweng Bay. 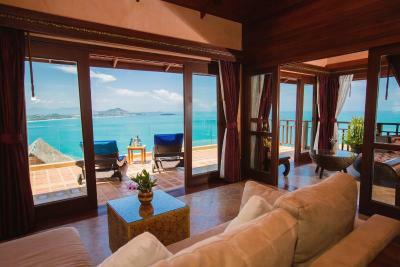 Sandalwood Luxury Villa Resort is about 6.2 mi from Samui International Airport, while it is 16 mi from Nathon Pier. 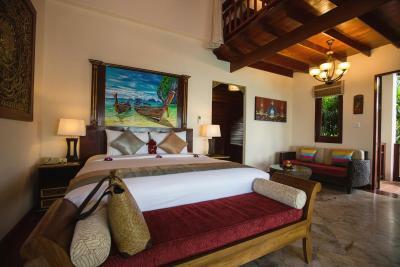 When would you like to stay at Sandalwood Luxury Villa Resort? This studio features an ocean view, kitchenette and a sitting area. It includes a 42-inch flat screen TV and a DVD player. The bathroom has a marble and glass shower-for-two with a massage spray and a separate overhead rain shower. 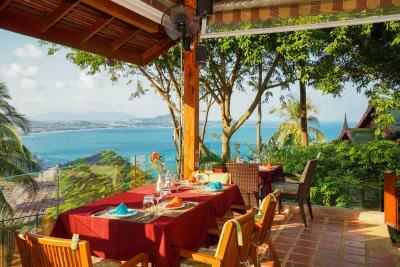 This villa features a private plunge pool, kitchen and balcony. It has a 42-inch flat screen TV and sitting area. 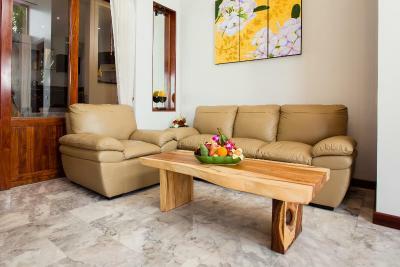 The outdoor living area includes a dining table for four people and lounge chairs. 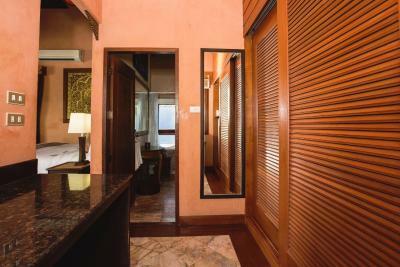 This suite features two spacious floors. The main-floor bedroom is separated from the living area by sliding glass doors. This bedroom has a 42-inch flat screen TV, a large terrazzo bathtub for two, and a separate marble and glass shower. 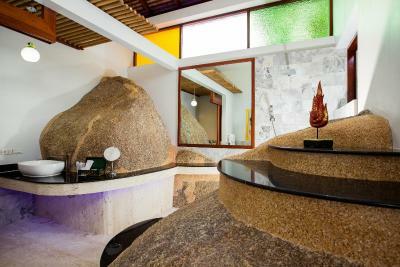 The second-floor bedroom has a 42-inch flat screen TV, and an attached bathroom with an indoor/outdoor shower, glass walls and 180-degree views. 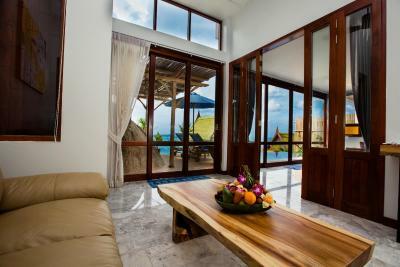 The suite also has a kitchen, living room and outdoor lounging area. 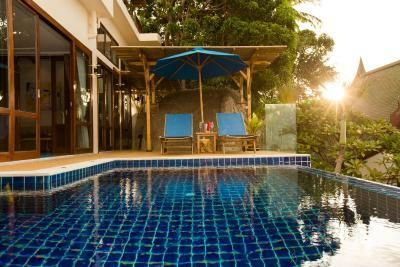 This spacious villa features modern Thai design and includes an infinity pool, outdoor shower and a spa tub. 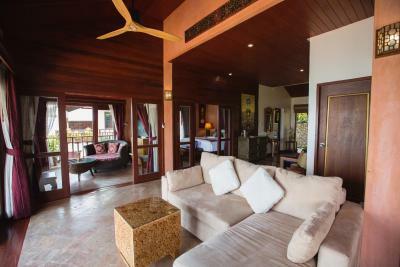 It has an open-plan living room, a kitchenette and outdoor lounging area. It includes a 42-inch flat-screen TV and DVD player. 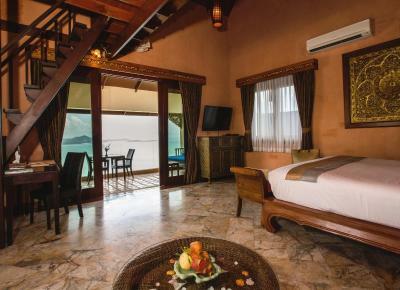 Guests can enjoy sweeping panoramic views of the coastline and outer islands from the balcony. This villa features a balcony and a sitting area. Boasting panoramic views of the coastline and outer islands, these private villas comes with two sets of sliding glass doors which open onto a patio located right next to a large infinity pool. 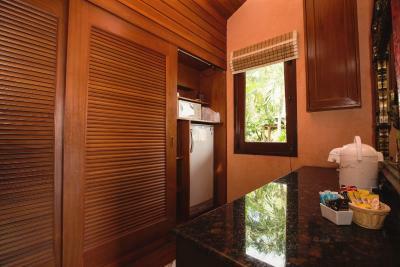 They also have a kitchenette, an outdoor shower and a spa bath.Villas are designed with marble, granite and hardwood throughout. 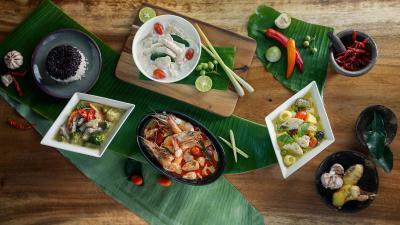 The interiors features Thai modern design, a 42-inch flat-screen TV and a seating area. 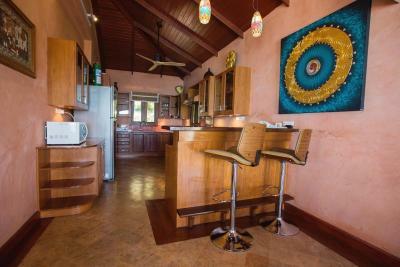 A mini-bar and a fridge are offered. 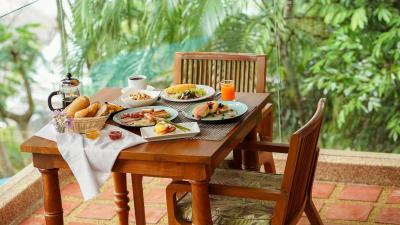 House Rules Sandalwood Luxury Villa Resort takes special requests – add in the next step! Sandalwood Luxury Villa Resort accepts these cards and reserves the right to temporarily hold an amount prior to arrival. To utilize the hotel’s free airport transfer service, guests must inform the property of arrival flight details at the time of booking, at least 72 hours prior to arrival. 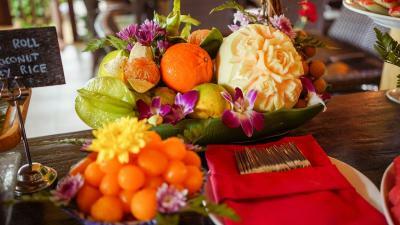 Please inform Sandalwood Luxury Villa Resort of your expected arrival time in advance. You can use the Special Requests box when booking, or contact the property directly using the contact details in your confirmation. The breakfast was ok-ish but can be notched up. 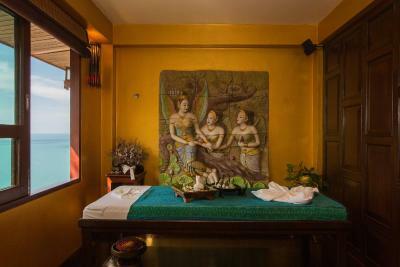 Due to the villas being on a steep hill, you are dependent on the 'shuttles' from the villas. The shuttles are air conditioned 4x4 and very comfortable but if you miss the free ones then each 1 way trip costs you 400 - 500 Bhat which can easily add up. Very friendly staffs, even called to confirm back to hotel safely. The staff bend over backwards to do anything for you. It’s very well run. And everyone speaks very good English. Staff were excellent, very attentive and friendly. Fantastic views and amazing pool. Restaurant also very good. Nothing other than the owner talks to staff inappropriately in dining room. Not necessary in front of guests!